A spectacular fforest feast in the new big barn. Old friends, new friends and the very best of local coming together at fforest over the weekend of the 24th of March. 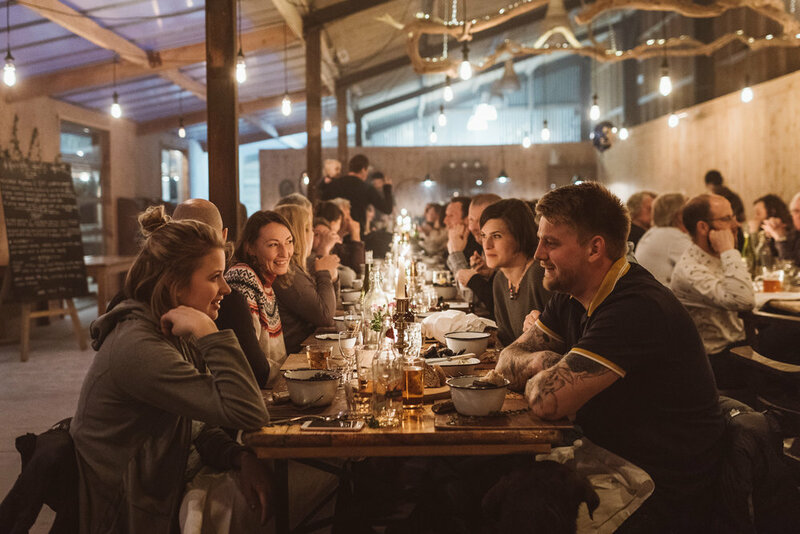 Book for the Saturday feast only or stay with us for a very special weekend revolving around good food, good drink, good conversation and a great time in wild windswept west Wales. We will have vegetarian & vegan options, but due to the nature of the event we are unable to cater for food allergies or intolerances. Vegetarian menu to be announced mid Feb.